Shortly after take-off from runway 29L at Tehran Merhabad Intl Airport, the aircraft entered a steep turn to the right and immediately began to loose height. 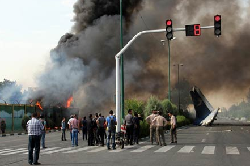 The pilots lost control and crashed in the residential Azadi District, about 1,5 km northwest of the airport where it disintegrated on impact. The aircraft clipped power lines and impacted on a public road where its tail broke off from the rest of the fuselage. The wreckage was set ablaze by exploding fueltanks. Nine persons are known to have survived the accident although exact casualty numbers vary. No person on the ground was killed. 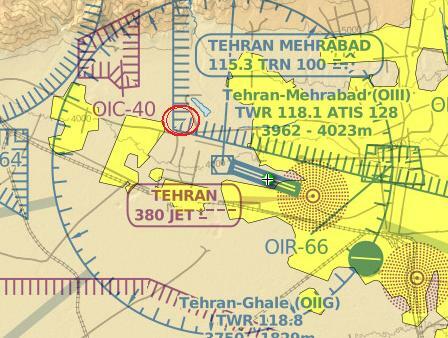 According to sources from Tehran ATC the pilots reported unspecified problems soon after take-off. The aircraft was on a charter flight. Sepahan Airlines is affiliated with HESA, the AN-140 production company.